With incredible ocean views, this newly (2018) renovated 5 bedroom villa is contemporary and modern. 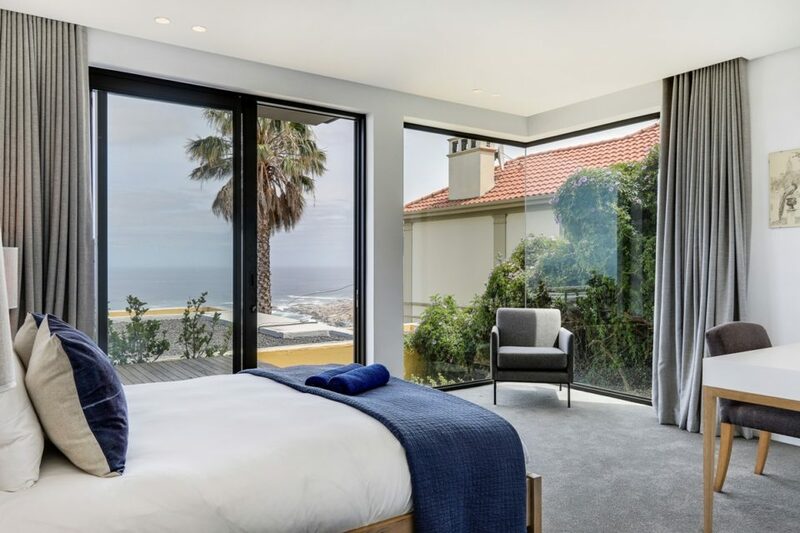 Situated in a quiet road higher up in Camps Bay, it enjoys 180 degree uninterrupted views from most rooms in the villa. Over 3 stories, the lower level is a 2 bedroom self contained apartment and the upper 2 levels a 3 bedroom apartment. They are joined by a central staircase to create a large space perfect for a group of friends travelling.